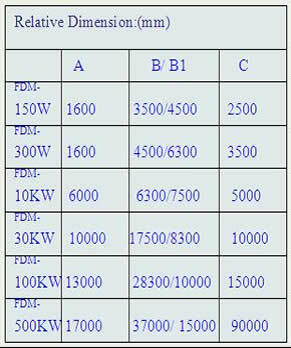 FDM 0.15-500KW generator system is an advanced wind-power generator system (Patent No.200420081310 ) of efficient and nice-looking. The set-up power is from 1500W to 500KW. The vane is made on the principle of the wing of the aircraft while the structure is made on the principle of vertical whirlwind which is of the advantage of no influence caused by the wind-direction. This efficiency of electric energy production is 18% higher than the horizontal whirlwind generator being used at present. This system is of a position-fixed system, hence the electricity transmiission wire will not be stranded in operation. Such system is of a silent wind-power generator, thus makes it possible to be installed at any places including in some bad locations like on the roof of the house, on the boat, in the snow area and on the lighthouse and in the sea or river area. Such system is developed to replace the old system used at present. 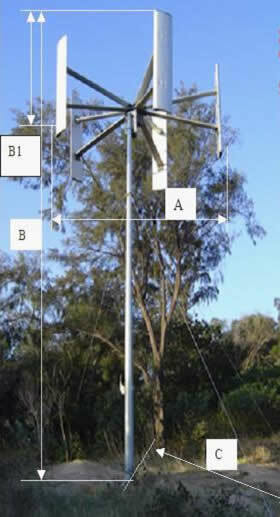 The old system is of the horizontal wirlwind. In operation the face of the vane of such old system is heavily pressured by the strong wind which will easily cause the vane deformed and which will definitely cause the heavy noise and the reduction of the turn speed and the deficiency of electric energy production. This FDM 0.15-50000KW Wind-Power Generator System can supply the power for the army and the civilian. It is useful to the army telecommunication, family daily use, school life, metrology and hydrology work, microwave telecommunication, navigation mark, railway signal, advertising board, roof light and roof view light, villa light and boats. 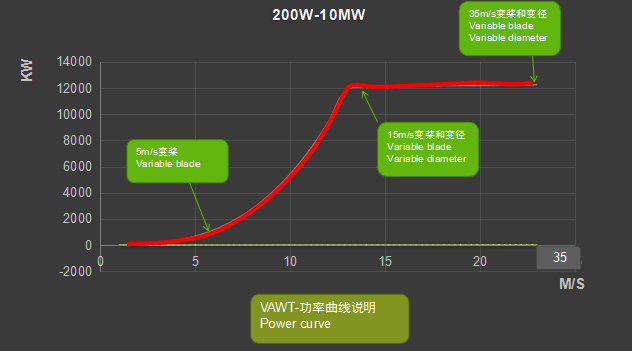 For example, 5KW system can produce enough power for one of the following units: a battalion, 5 families, a middle-size school, a middle-size telecommunication post, a maintenance squad, a big-size boat etc..
Area: In China, all the provinces except the provinces of Si Chuan, Hu Nan, Hu Bei and He Nan, are of more than 2000 hours of widy days annually which makes this system workable. Note: Annual power of 1 KW means 2000 units of electricity generated, 3KW neans 6000 units, 5KW means 10000 units and 10 KW neans 20000 units and above.